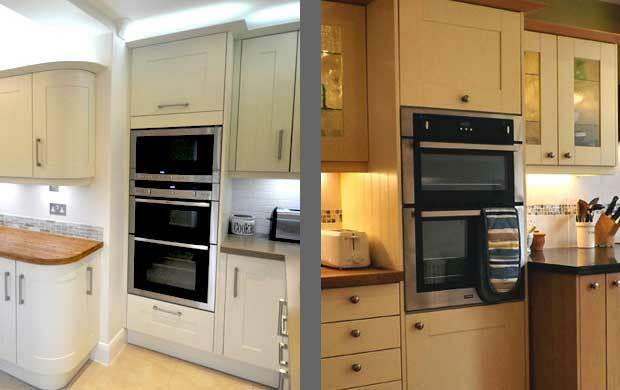 Home » Customer Questions » Which appliances fit in tall kitchen units? 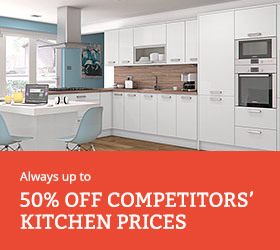 Which appliances fit in tall kitchen units? 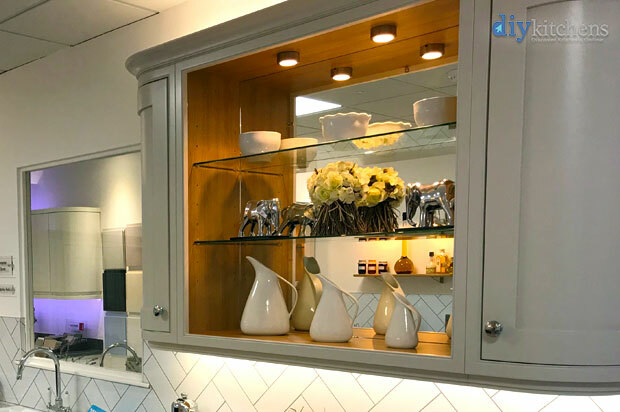 When planning a new kitchen design, people with larger sized kitchens tend to go with some tall units on a side wall where they will house the likes of an oven, as well as gaining a load of additional storage space as well. The question people ask is, “what other appliances can I realistically put in a tall housing unit.” Well, below is some food for thought for you. One of the most common things people do with tall housing units is to place their oven in there. This can make a real feature of your kitchen, not to mention the practicalities of having an oven at waist level as it’s much better on the back as you don’t need to keep bending down to open it. Also, if you have small children that are starting to explore your kitchen then it will help to keep them away from the door and the steam that escapes upon opening. If you love your coffee and want it on tap then you can invest in a compact coffee machine that fits neatly into a tall unit with compact housings, especially designed for these types of appliances. 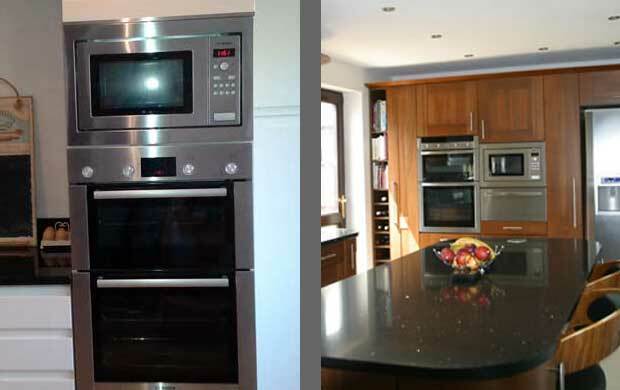 To help save worktop space, your microwave that has probably been sat on your worktop since the dawn of time can now be elevated to new heights, making it more accessible and keep your kitchen looking tidier in the process. Most of us like a glass of wine of a weekend to unwind, but there is not always space inside your main fridge to keep that bottle of white chilled. 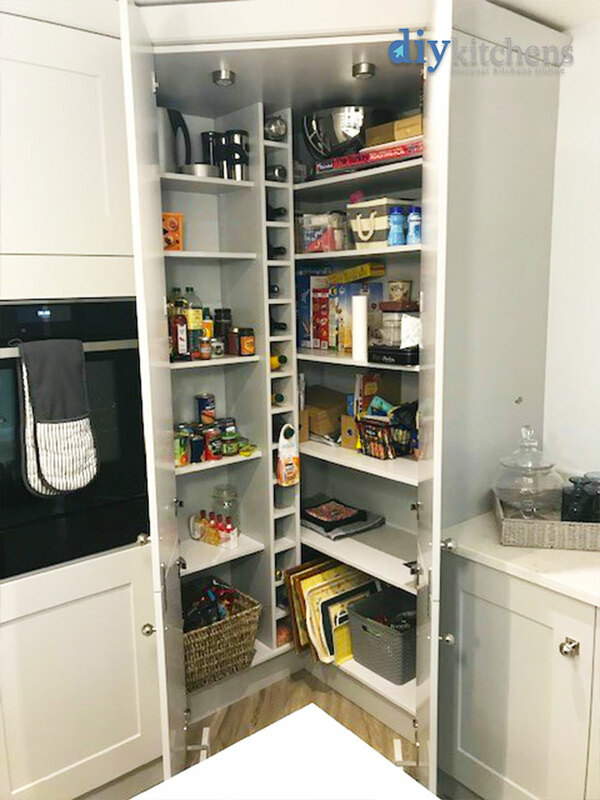 The solution is to get a wine cooler that can fit snugly into your tall units that can be filled with all your favourite wine or soft drinks for the kids. 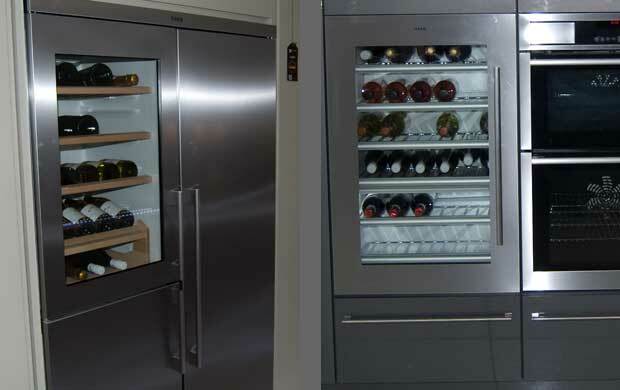 Below are some pictures of wine coolers that have been integrated into tall kitchen units. 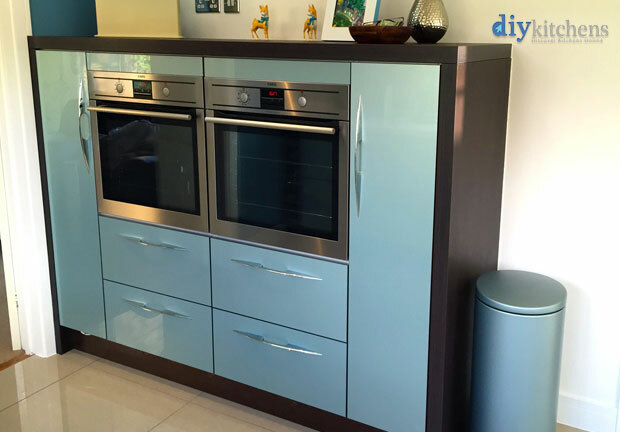 One of the most popular uses for tall units is to hide away an integrated fridge freezer. 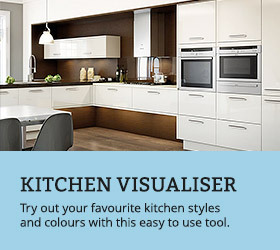 The monstrous appliance that usually takes up a good portion of your kitchen can now be hidden away and blended perfectly into the kitchen design. 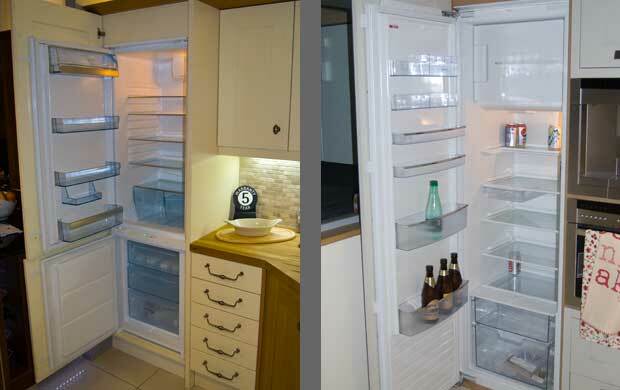 Below are some pictures of fridge freezers that have been integrated into tall kitchen units. 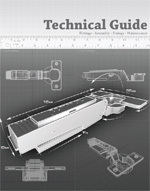 You can view this guide in our Technical Guide PDF download as well as many more guides that will help you in the installation of your kitchen. To download the PDF, right click on it with your mouse and choose “Save Link/Target as” and save the PDF to your computer. 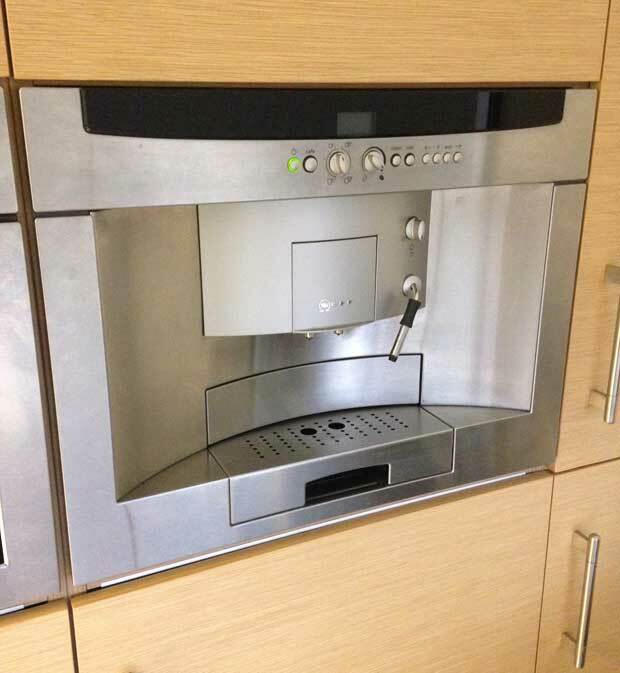 Hi, Do you do a tall unit that would house a integrated microwave and coffeemaker? this would be the same size a standard double oven but in two appliances one on top of the other. Hi Lori, the tall unit that you require is here. Hi, we’re considering two single ovens in a 1970mm high tall unit (code SOH2), but would prefer to ‘flip’ the unit so that the bigger door was on the bottom and the pan drawer was at the top (replacing the pan drawer with a smaller door to create a simple cupboard). 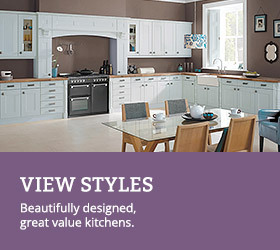 Would this be possible for the Norton Painted style kitchen? Thanks in advance. Hi Daniel, unfortunately we are only able to supply the units as standard, we do not bespoke make the units to your specification i’m afraid. If this is something you where wanting, you would need to adjust the unit onsite. If this is something you intend to do then I would advise for you to order the unit to be supplied dry assembled, so you can take the unit apart if needed. Do you do a 2300mm tall appliance unit that will accommodate two single ovens, you only appear to have a 2150mm unit that will do this? the total height of my kitchen from floor to top of wall units will be 2270mm minimum. Hi, this unit is available below but not for inframe kitchens though. Would it be possible to have a single oven and an integrated fridge in the same housing unit? If so how? Hi, we don’t have a unit for this and do not recommend trying it, as the oven would give out a lot of heat and cause the fridge/freezer to work really hard to keep the contents cool. I would like to put a single oven on top with a microwave 382mm below in one unit and a single oven on top with a 290cm warming drawer below in second unit. Obviously the bottom units wont match up – any ideas?? Hi, unfortunately with the appliances being at different sizes, there is no way to have the two units lining up with one another. 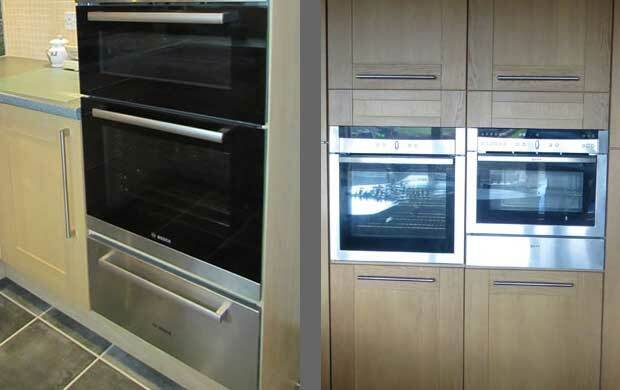 If you were to use the DOH, which would have the correct aperture for the single oven and 290mm warming and a SOMH, the two of these have the same height bottom door, which is 570mm. It will just be the top section of the units which will not line in. 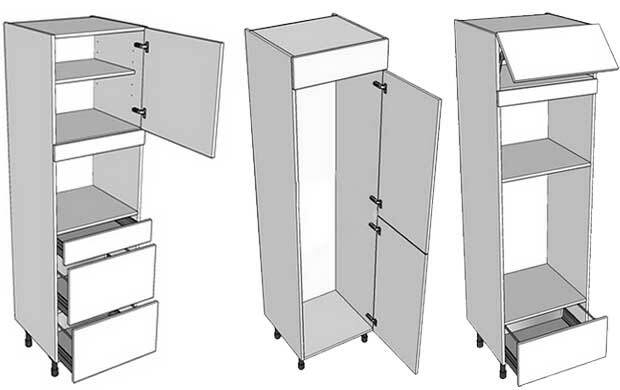 Hello, what the max height possible for an integrated fridge/freezer housed in a tall larder unit? Hi Amy, thanks for getting in touch. We provide a range of integrated units to house a large variety of fridge freezers. The maximum height of these units is 2150mm. As even the tallest fridge freezers tend to be no more than 2000mm high, our units can accommodate these comfortably. So, if you are using the 1970 [2120 inc legs] unit you have 1934mm, if you go for the 2150 [2300 inc legs] height then you have 2014mm. Just to confirm the microwave aperture on the double oven and microwave tall unit is 450mm? Our built-in integrated microwave is 380mm in height – does the filler panel cover the gap / difference between the 380mm appliance height and 450mm aperture? Hi, the aperture for both is 450mm. The filler panel is over sized (115mm) and is to be cut down to fit. You would need to cut the filler panel down to around 70mm. Can I put an integrated double combi oven in fridge freezer housing as I want to get rid of the integrated fridge freezer but keep its cupboard? Hi, as long as the aperture is the same, it should be fine. Could I fit a microwave, oven and boiler in a larder unit? If I had the oven at the bottom, under unit height, the microwave worktop height and then the combi boiler at the top? 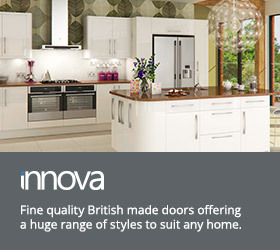 Hi, it would be best to give the technical sales team a call regarding this question on 01977 608 418. They would need all the dimensions of the boiler, microwave and oven and if it does work the unit would be sent in component form for you to fit on site, as it would not be a regular unit. Hi. Are there any built in coffee machines that will fit into a 300mm deep unit? Hi, we don’t know of any coffee machines 300mm deep. The ones on our site are about 361mm. Hi. Many thanks for your prompt reply. Stuart. we have a very small kitchen space in our flat. Please can you tell me is it a) possible and b) advisable to have a tall appliance unit containing both an oven at worktop-and-above height, as well as an integrated white appliance (e.g. fridge or washing machine) at base height? I cannot find any pictures showing examples of this online but I accept that most people are not working with such a very tight space. Hi, it isn’t advisable as the internal size of the unit is 564mm but the washer requires a space of 600mm. Hi, Is there any technical reason why I could not install an oven, microwave and shallow (150mm high) plate warmer in a 1200mm high unit? The dimensions of all 3 would seem to fit a 1200 unit but I have not seem any illustrations or units specifically for this config? You can but the warming drawer will be very low down. I have an American fridge which is 92cm wide. We would like 2 30cm larder either side & top box. What do we need to house it? The fridge is housed left and right by the 2 larder units. You will also need a 1000 wide top box either 290 or 360 tall depending which height you are working to. Could you please tell me the dimensions of the microwave section of the 1970cm double oven plus microwave unit ? Can’t seem to find it anywhere and want to know the height of the microwave I need to fit in. The sizes for the oven and microwaves are below. how deep is the microwave wall unit, is it 300 or is it actually deeper as i wanted to fit a 320 deep microwave into it. The wall units are 300 deep. Add a 20mm door would give you a new depth of 320mm and a 320mm deep integrated microwave would fit flush with any doors above and to the side of it. I have just finished installation of DIY-K units. They were perfectly assembled and installation was simple. All that remains is to insert the supplied filler panel between the microwave and the top part of the tower cabinet. This is about 5mm deeper than the space to be filled. I guess that this is to allow for differences in the size of appliance units and I guess I will need to cut it down to fit. However, before I do this, I wonder if there any alternative to cutting it down to fit? Hi, the panel comes in one size, which covers all the gaps that could be left by an integrated microwave. I’m afraid there is no alternative but to cut it to size. When cutting, place masking tape down the side that you are going to cut and use the correct wood blade in your jigsaw or circular saw. You can then lightly sand off any rough edge that may be left and use some touch up paint if needed to make the raw edge match the rest of the panel.